Winter is fast approaching, which means it’s time to break out the warm coats and get ready for a few months of rain, snow, and cold. 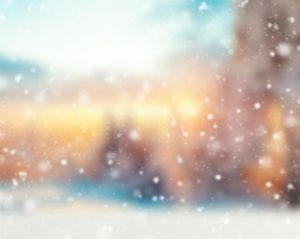 In addition to changing your wardrobe, preparing your home – especially your bathroom – is another essential part of preparing for the year’s coldest season. Read on to learn some of the bathroom winterizing tips our shower and bathroom stall installation experts use to fend off the harsh weather. Bathrooms tend to have lots of pipes, windows, and caulking, all of which can crack and let in cold air where it’s wanted the least. Be sure to check the silicone around the windows and bath for any wearing or cracking, and make sure that none of the visible piping has any leaks and is properly insulated before the cold weather sets in. Is there anything more unpleasant than having to make a trip to the bathroom in the middle of the night, only to discover that the entire room is freezing cold? You can avoid this unpleasant scenario – to a point, anyway – by adding a heating element to your bathroom during the winter months. If your bathroom doesn’t already have its own heat source, add a space heater or other portable heating device that can be switched on to heat up at least part of the room as quickly as possible. Winter months tend to be darker and gloomier, which can seriously affect your mood after a while. One way to avoid the December doldrums is to add additional lighting to your bathroom. Try experimenting with different higher-wattage bulbs, or find somewhere to place an additional lamp or another light source. You’ll be surprised how much of a difference it can make. Don’t want to walk on a frigid bathroom floor with your bare feet? We don’t blame you. That’s why we recommend placing some nice, warm rugs on the spots on your bathroom floor where you’re most likely to walk. Your feet will thank you. Just like adding additional lighting can make a bathroom more comfortable during dark winter months, adding more color will make your bathroom feel brighter, like an escape from the depressing gray weather outside. Buy some new, colorful towels, or place some flowers on the counter. Whatever you can do to add more color to the space will help. 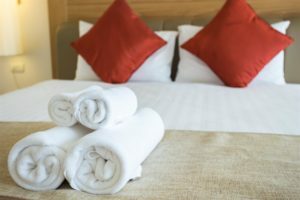 Speaking of towels, here’s a little trick you can use to keep warm right after getting out of a winter bath or shower: Throw your towels/and or bathrobes into a tumble dryer before getting in the shower, and then remove them once they’re hot. After you are done bathing, they should be cool enough to be comfortable to use but still warm enough to keep away the cold. Want more information on winterizing your bathroom? Contact American Bath Enterprises, Inc. today at 888-228-4925. © 2018 American Bath Enterprises, Inc.